These Crispy Roast Potatoes are made with a special method that doesn’t require oil, and makes for potatoes that are golden brown and crispy! The crispiness of these potatoes just boggles my mind. 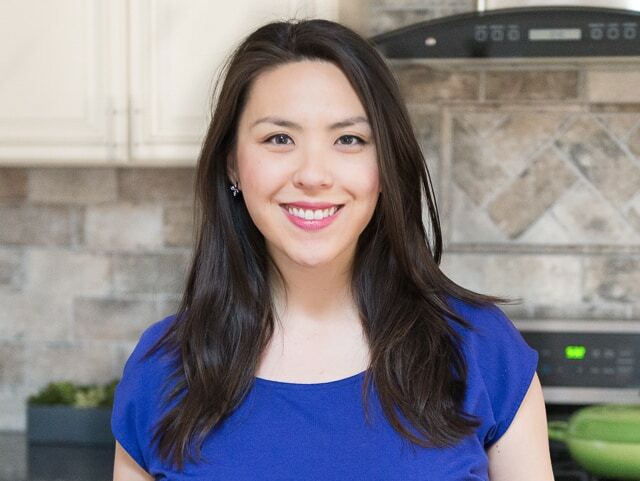 This recipe uses absolutely no oil, no butter, no lard, no shortening, no fat whatsoever. It is crispy completely from the way that it is cooked. The interior of the potato is fluffy and soft, and the outside has a robust crunch to it. Don’t expect the same kind of crunch as a french fry (many people aren’t aware, but french fries are usually deep fried in oil twice…definitely a “once in a while” treat), but these potatoes are equally as addictive. My husband and I can go through a whole sheet pan of these things in one sitting, and we do…that’s why I make four pounds at a time. Spread them out on a sheet pan, and bake! 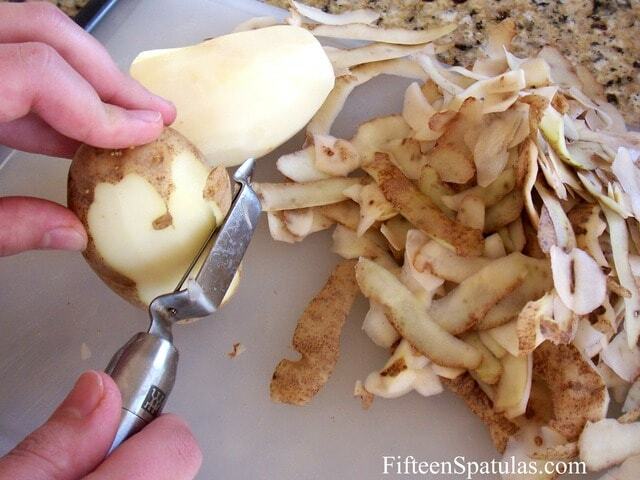 Peel the skin off the potatoes, placing the potatoes in cool water after peeling so they don’t discolor. 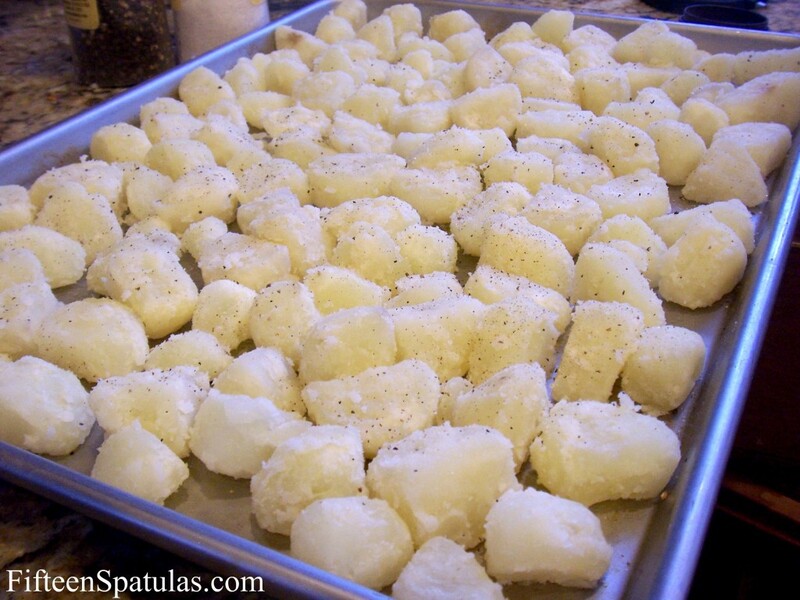 Once the potatoes are peeled, cut them into evenly sized small pieces. 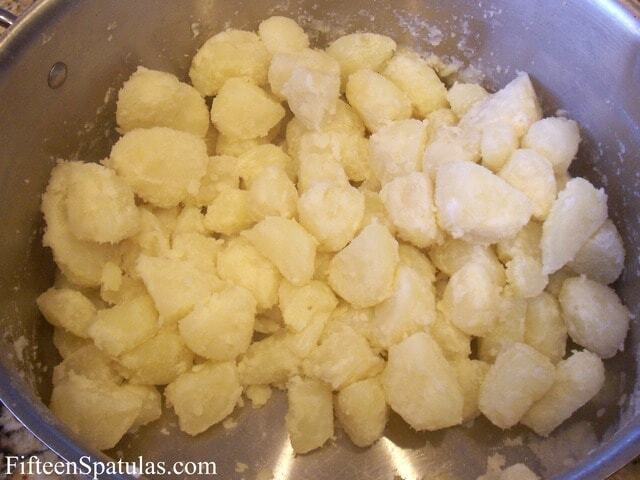 Place the potato pieces in a pot, fill with enough cold water to cover the potatoes, and salt the water. Bring to a boil on high heat (you always cook potatoes starting with cold water in order to ensure evenly cooked pieces. If you start the potatoes in boiling water, the outside will be overcooked by the time the inside is done). Once the water is boiling, cook for an additional 4 minutes. Drain the potatoes, return the pieces to the pot (don’t put the pot back on the heat), and sprinkle over the flour. Put the lid back on the pan, and shake it up, shake, shake, shake. You are marring the edges, which will facilitate the crunchiness of the potatoes later on. 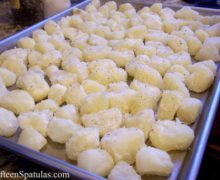 Dump the potatoes onto a sheet pan and make sure they are in a single layer (don’t crowd the potatoes, or the edges won’t get crispy). 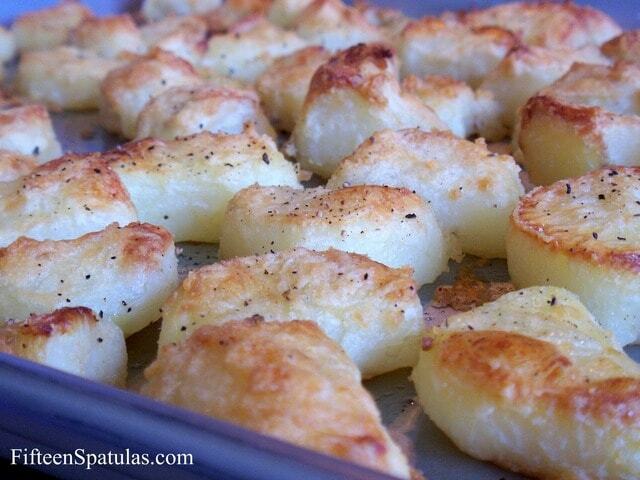 Give it a good sprinkling of sea salt and freshly cracked black pepper, and they are ready to go into the oven. Roast for 45-55 minutes at 450 degrees F, but watch them carefully. Enjoy your crispy potatoes! Hi i made these because i ran out of fats to cook with.Best roast potatoes ever ,now i only cook them this way just lovely. That’s great, Alison. Happy cooking! I have not tried baking them without any oil or fat before, but I will try this method the next time I do any roast potatoes.